What most surprised you about Gandhi's autobiography? 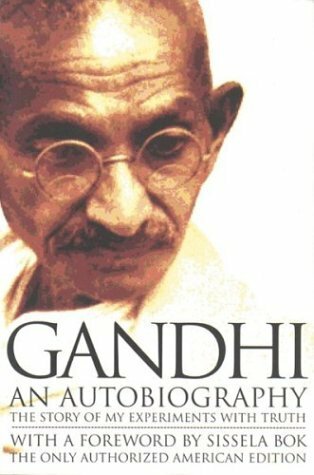 Why do you think Gandhi entitled his autobiography "My Experiments With Truth"? What does truth mean to Gandhi? How would you describe Gandhi's religious beliefs and how do they influence his actions? What is Gandhi's conception of God? How would you characterize his relationship with Hinduism? How would you begin to fit together the various aspects of Gandhi's philosophy, including such beliefs as his commitments to non-violence, celibacy, self-reliance and vegetarianism? What was the meaning of Satyagraha? What ideas most influence him? To what extent is it appropriate to portray Gandhi as a traveler between worlds? How would you describe these worlds and how does Gandhi negotiate between them? How do you think Gandhi's years in both England and South Africa most shaped him? How would you characterize his relationship to Britishness and to the British Empire as expressed in the autobiography? What did you learn about India through Gandhi's account? How would you characterize Gandhi's relations with his family members and how, if at all, does this add to our understanding of the public and political Gandhi? How would you rate Gandhi's autobiography as a core reading for HIS 121? Mohandas Gandhi -- Sparknotes: A review of Gandhi's life. Maya Jasanoff, "Gandhi Was A Crank Before He Was A Saint," New Republic (June 7, 2014). Salil Tripathi, "'Gandhi Before India,' By Ramachandra Guha," SF Gate, April 25, 2014. "'Before India,' A Young Gandhi Found His Calling In South Africa," Morning Edition, NPR, April 16, 2014. James Norton, "Gandhi Before India," Christian Science Monitor, April 15, 2014. Jyoti Thottam, "Cradle Of Civil Disobedience," New York Times, May 8, 2014. Patrick French, "'Gandhi Before India,' By Ramachandra Guha -- Review," Guardian, October 9, 2013. Jad Adams, "'Gandhi Before India' By Ramachandra Guha," Telegraph, September 27, 2013.